Fire is a natural, unpredictable, and dangerous element. Though it is necessary for heating, it is quite destructive and, if you’re not careful, can lead to irreversible damage to your belongings. 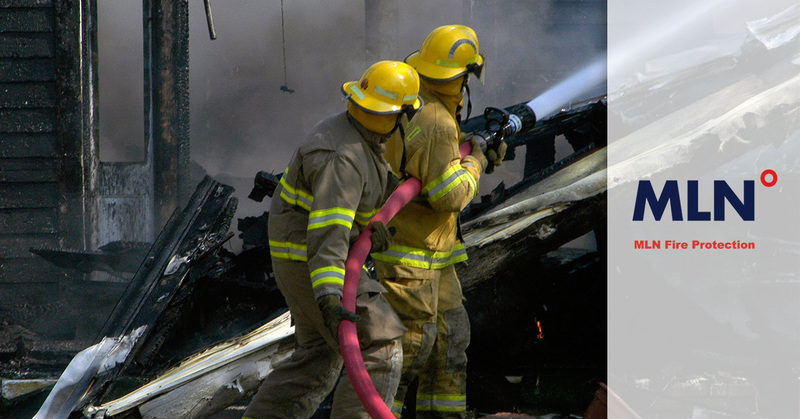 The following blog is a list of ten different causes and solutions of house fires. 1. Ladies, your straightener can start fires! It would make sense that a tool that is meant to heat to dangerous temperatures would have the capability to start a fire. However, most women aren’t aware that hot tools, such as straighteners and curlers, have the ability to cause serious damage to your home. If left on and unattended, they could set fire to their surroundings, like towels and carpets. It is important that when using any kind of hair care tools that you not only turn them off, but place them inside your sink. When you do this, you protect your bathroom in case the tool is still dangerously hot when you turn it off. 2. Smoking can destroy more than your health. It is no surprise that smoking is bad for you. But did you know that smoking can be bad for not only your health, but your house? It is true! One of the leading reasons for house fires is because some people choose to smoke within their residence. Most of the reason fires start is because when people are finished with their cigarette, they often don’t put it out all the way. Another possibility for smoking-related fires is that some fall asleep when they are smoking, which can lead to the cigarette falling to their carpet and catching on fire. 3. Your Christmas tree could cost you… your house. During the holidays two things are certain: holiday foods and holiday decorations. The most common winter holiday decoration is the traditional christmas tree. Some families every year choose to cut down a real pine and place it in their homes. Though this tradition is wonderful and festive, it raises the likelihood of a house fire. When pines are cut, they immediately begin to die and dry out. When the tree is too dry, it is more prone to catch fire when in contact with the decorative lights around it. One way to reduce the likelihood of a Christmas tree-related fire is by getting rid of your tree immediately after the winter holidays. By allowing your tree to die and dry out after the month of December, you are only adding a greater risk factor for a house fire. 4. Curiosity can kill more than the cat. Curiosity is part of childhood. In many respects, it is good to encourage childhood curiosity because it stimulates a developing brain. However, in some ways, curiosity can be dangerous, especially when it comes to lighters, candles, and matches. When children see their parents light something, they immediately become interested and want to try it for themselves. The best way to keep your children away from fire-starters is by placing them in hard-to-reach areas. When your kids don’t have easy access to these dangerous objects, you significantly reduce the possibility for a house fire. 5. Lights that light your house up — literally! House lights are great to illuminate your home in the dark. However, when your lighting has faulty wiring, they can become a fire hazard. One way you can determine if you have fault wiring is if your lights dim when you turn on an appliance. The best course of action, if you have noticed you have faulty wiring, is to call an electrician immediately. Also, try to never leave your house lights on while you are away. This will not only reduce the risk of a fire, but save you money on your electricity bill. 6. Cooking Equipment that can set a house ablaze. A golden rule is to never leave anything in or on your stove. Stoves are notorious to starting fires if they come into contact with something flammable, like a dish rag or any other flammable substance. Some, older stoves, use open flames to heat, which increases the risk factor of accidentally starting a fire. The best way to reduce the chances of a stove-related house fire is to make sure all the dials of your stove are turned off. Also, make sure that nothing is in or on the stove such as a dish or a towel. 7. Candles can set a mood…of terror. Candles are wonderful for providing your home with good smells and a relaxing ambiance, however, they are prone to starting untamable fires. When you use a candle, make sure you are present while it is lite. Never, under any circumstance, leave your house with a lit candle still going. Candle flames can be unpredictable and can set your curtains or your carpets on fire. During the winter months it can get a little chilly. When you’re cold you often turn to heaters to warm you up. The issue with heaters is that they are often hard to regulate and cool down quickly. When you are using a space heater you should never hang clothing or blankets over it. The heater can easily set the material on fire, which then can easily spread throughout your house. 9. The place of fire. Nothing can beat a cozy, roaring fire during the holidays. However, when you don’t care for your fireplace, it can increase your risks for a house fire. If you do not clean out the ashes from your fireplace and make sure you properly stack the wood for the fire, you could risk a fire starting in your living room. Whenever you light a fireplace, it is very important to not only stack the wood properly but be present while the fire is burning. Sometimes fire can be unpredictable and wood can sometimes fall loose and onto your carpet. If you have a fireplace in your home you should have a fire extinguisher and a smoke alarm system in place in case of an accident. When you have a barbeque, you are obviously going to use it as much as you can. Though barbeques are expensive and labor intensive, they are perfect to cook with and allow you to host big social events, such as neighborhood cookouts and family barbeque parties. The only issue with barbeques is that if they are not cared for properly, they have the potential for causing house fires. Because barbeques require gas and heat to work, it is obviously a cooking tool that needs to be handled with care. Be sure to look for leaks in your barbeque and cook with caution. When you are using your barbeque, make sure it is properly cleaned and inspected before you turn on the gas valves. There are unfortunately many more ways to start a house fire. However, the key to reducing your risk for fire-related incidents is by using your heat-related objects with caution. Be sure to be mindful of the dangers of fire and be prepared if an accident occurs. 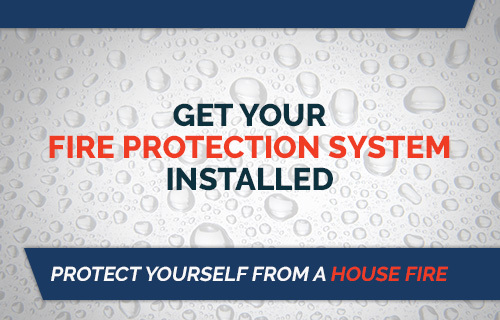 One way to ensure that you will never be a victim of a fire is by stocking your home with fire protection. Fire protection can come in the form of fire extinguishers, fire blankets, smoke detectors, and fire sprinkler systems. 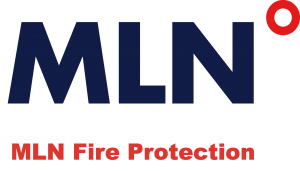 If you are interested in protecting your home and don’t yet have the necessary equipment to protect yourself against fire, contact MLN Fire Protection. Our services can supply and install fire protection systems that can benefit you, your loved ones, and your home.